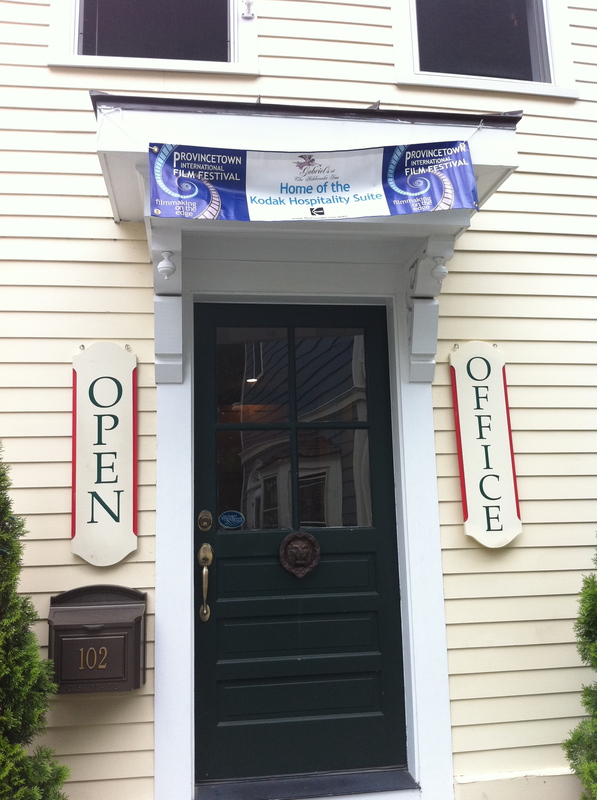 Well, the 13th annual Provincetown International Film Festival was wonderful. Though there were a few organizational hiccups (people got turned away from screenings because they ran out of seats, etc. ), this festival is just as fun as a big-city event like Tribeca but with none of the corporate stuffiness or commercialized hype from sponsors. Sure, we got HBO swag bags, but that was about it. The general air was fun, happy, excited–everything you’d hope for. And since this fest took place in glorious P-Town, as the locals call it, there was plenty of sun and sand (and restaurants, shops and drag shows) to enjoy between screenings. At the Friday screening of "Weekend"
The five films I ended up seeing (I had planned to see eight, but time constraints and one overbooked screening conspired against me) turned out to be a great mixture and representative of the festival’s overall quality: “Higher Ground,” “Weekend,” “Happy, Happy,” “Buck,” and “On The Ice.” (Reviews to follow!) “Buck” ended up winning the HBO Audience Award for Best Documentary Feature, and Vera Farmiga, director and star of “Higher Ground,” was honored with this year’s Excellence in Acting Award. Other award recipients for 2011 were Darren Aronofsky (Filmmaker on the Edge Award) and Albert Maysles (Career Achievement Award). Like the fest and P-Town itself, the honorees represent a diverse range of expertise and experience, all bringing their own unique brand of brilliance to their work. The press lounge at Gabriel's Inn - great snacks! As a whole, the festival was excellent. The staff and volunteers were welcoming and accessible, and I really got the feeling that they were genuinely excited about and dedicated to making the fest as good as it possibly could be. Other audience members I chatted with (not press, just regular civilians) all seemed in line with this tide of enthusiasm; they were all thrilled to have such a great cultural event taking place in their town, and relished the opportunity to see such great films right in their own backyards. All in all, I declare P-Town 2011 a complete success. Looking forward to coming back next year! 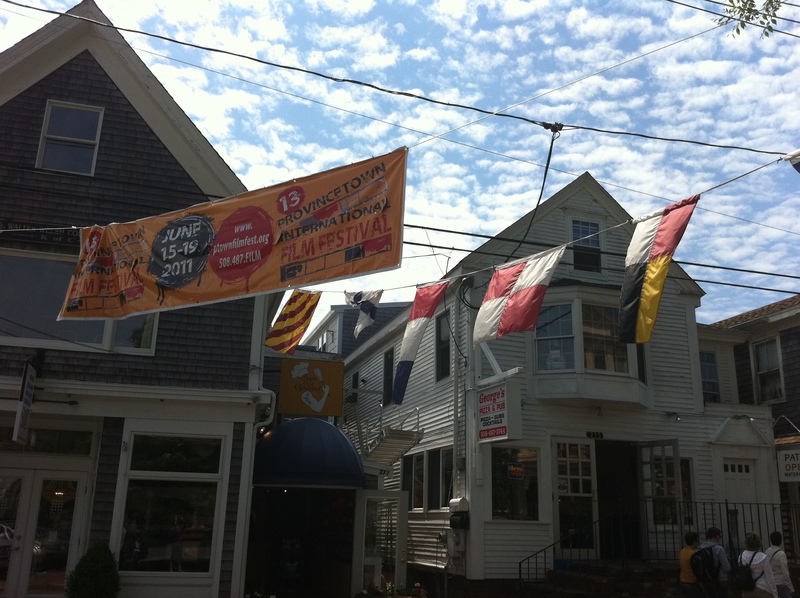 Provincetown International Film Fest 2011! 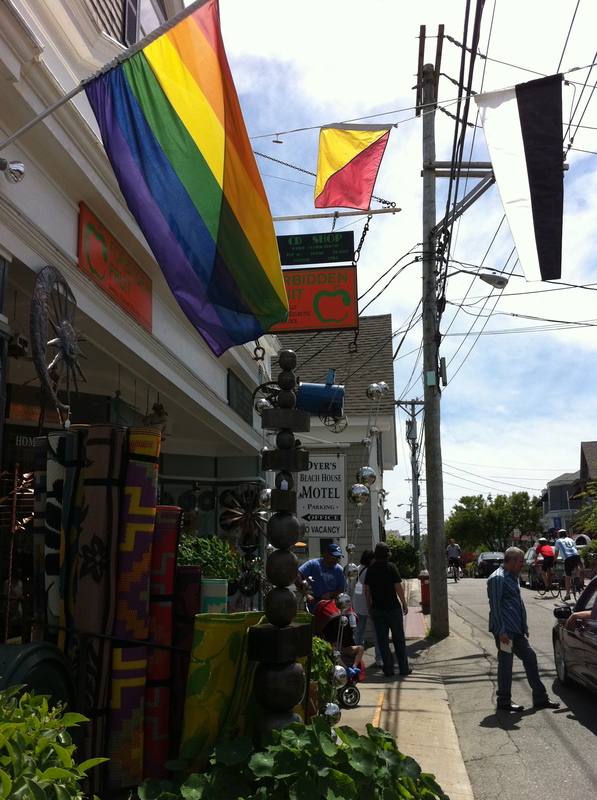 Beginning next Friday (the 17th) I will be posting from beautiful Provincetown, MA, at the very end of Cape Cod, for a couple of days while covering the Provincetown International Film Festival. The PIFF is one of the country’s hottest up-and-coming festivals, and this year much of its content has already screened at other top-tier festivals including Tribeca (see the April/May archives for my coverage of Tribeca 2011!). This year PIFF will be honoring Darren Aronofsky, Vera Farmiga, and Albert Maysles, as well as screening a ton of great indies, international and short films (check out the schedule here). There’s no place more beautiful than the Cape in the early summer, so if you’re up for a jaunt to P-town (as it’s known to us locals), now’s the time! Stay tuned for my festival coverage, which will also be going up on ScreenComment.com! Aronofsky to Direct Noah’s Ark Pic? Nikki Finke’s Deadline Hollywood is reporting that Darren Aronofsky, most recently of “Black Swan,” is apparently trying to get an “edgy” retelling of the Noah’s Ark story off the ground. Aronofsky penned the script himself (though it’s being rewritten by someone else), and according to Finke he’s “passionate” about the project and eager to make the film on as “grand” a scale as possible. He is reportedly seeking a $130 million budget, over ten times what was spent on the phenomenally successful “Black Swan.” Studios possibly interested include Paramount, Fox, and Summit Entertainment. After pulling out of directing “The Wolverine” and also backing away from a remake of “Exodus,” Aronofsky is clearly in a mood to be in complete control, and to do something truly epic. Does this turn towards the Biblical mark a new direction for him, or a return to the over-the-top filmmaking of “The Fountain”? Only time and Hollywood wheeling and dealing will tell.